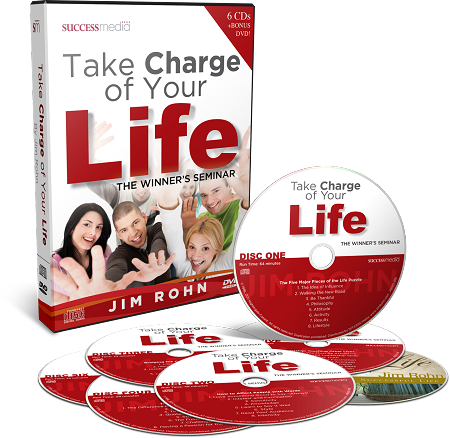 Jim Rohn knows the secrets of success and he reveals them to you in this exciting program that puts you on a new road in life. Jim tells you what you need to do to take charge of your life and how to do it. BONUS DVD! Lessons on Life, a truly moving movie short produced by SUCCESS Media, featuring beautiful images and the inspirational words of Jim Rohn. 6 CDs with Bonus DVD! DO YOU NEED MORE INFORMATION BEFORE YOU DECIDE TO BUY THIS PROGRAM NOW? Have Something Good to Say - Always! BONUS DVD: Lessons On Life - Inspirational Slide Show containing a truly moving 3-minute movie with beautiful images and inspirational words.